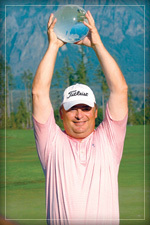 Fan favorite Jerry Kelly wins the 13th annual Boeing Classic to claim his first PGA Tour Champions title. The newcomer held off stiff competition from Jerry Smith to secure the victory by one stroke. 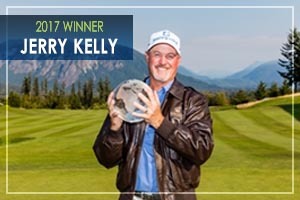 Kelly had a tournament record 19-under 197 total at The Club at Snoqualmie Ridge. Bernhard Langer emerged victorious after a three-way playoff with Woody Austin and Kevin Sutherland. The German star took advantage of Austin and Sutherland both finding bunkers on the 18th in the playoff. 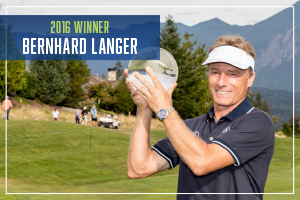 Langer won for the fourth time this season and posted his 29th win on the PGA TOUR Champions, tying him for second with Lee Trevino on the career list. 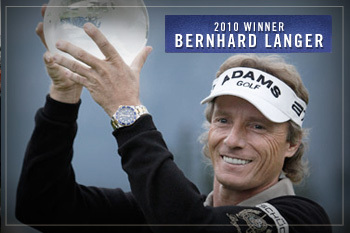 Bernhard Langer also won the Boeing Classic in 2010. 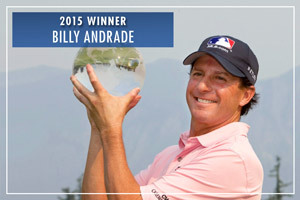 Making the most of his first appearance at the Boeing Classic, Billy Andrade held off several golfers to win the 11th Annual Tournament. Andrade shot 73 in the final round for a cumulative total score of 207. The 73 is the highest final round score by a Boeing Classic Champion, and the three-round total of 207 ties the tournament record for highest cumulative total by the winner. It was Andrade's first PGA TOUR Champions title in an individual stroke-play event, and it was his first professional tour victory since 2000. 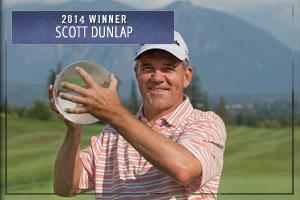 It was another exciting finish at the 10th Anniversary of the Boeing Classic as Scott Dunlap beat out Mark Brooks in a sudden-death playoff to earn the 2014 Boeing Classic title. This was the fifth time in ten years a champion was decided in a playoff, making Sunday at the Boeing Classic a must-see event year after year! 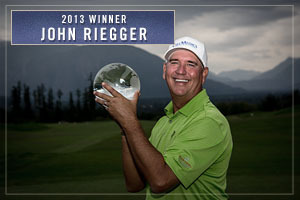 John Riegger held off some of professional golf's most notable names — among them, Bernhard Langer, Tom Lehman, John Cook and Seattle native Fred Couples — to finish with a 15-under total of 201 and earn the title of Champion of the 2013 Boeing Classic. In only his fifth Champions Tour start since turning 50 in June, Riegger had every reason to be nervous as the impressive field pursued him throughout Sunday’s final round. He began the day with a three-shot lead, but a shaky front nine left him trailing Langer, the Hall of Famer, by one shot. The back nine though was another story, where he persevered and then thrived with birdies on three of his last four holes to finish with a 68 and two strokes ahead of the field. 30,000 fans crowded around the 18th green to celebrate Riegger’s win, tying the tournament record for a Championship Sunday crowd, and the Tournament Week total of 86,000 established a new Boeing Classic attendance record. 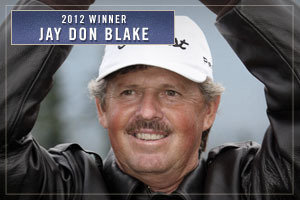 The Boeing Classic has become synonymous with thrilling finishes and this year was no different, as Jay Don Blake outlasted Mark O'Meara on the second playoff hole to become the 2012 Boeing Classic Champion. For the fourth time in eight years the tournament was decided in a playoff and 28,000 fans crowded around the 18th Green to join in on the excitement. On the first playoff hole, Blake missed a short birdie putt first, giving O'Meara a chance at the title. But his 8-footer slid right of the hole and sent the duo to a second playoff hole. Playing No. 18 for the third time on the day, O'Meara pulled his second shot into the rough left of the green and his pitch checked up short. Blake's second shot went into the rough behind the green, but his pitch nearly went in, leaving him with a tap-in birdie. 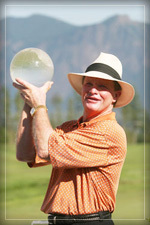 O'Meara wasn't able to find the hole on his birdie, giving Blake his third Champions Tour win in the last two years. 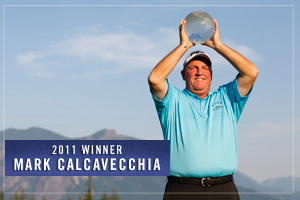 Mark Calcavecchia recorded his first win on the Champions Tour with his victory at the 2011 Boeing Classic, holding off Russ Cochran with a two-putt birdie on the first Playoff hole in front of a record 30,000 fans at TPC Snoqualmie Ridge. A 13-time winner on the PGA Tour, Calcavecchia went head-to-head with Cochran on Sunday as both players shot 7-under 65s to finish at 14-under. It was Calcavecchia though who made the big shots when he needed them most and provided yet another thrilling finish to cap the most the most successful event in tournament history. Bernhard Langer shot a 3-under-par 69 on Sunday to win the Boeing Classic by three strokes over Nick Price and tied the tournament record with a three-round total of 198. Kite climbed back from two shots down with three birdies in four holes on the back nine Sunday, rallying to overtake Scott Simpson to win the Boeing Classic by two shots. Kite finished at 14 under after shooting a 6-under 66 in the final round for his 10th career Champions Tour title and 2nd Boeing Classic Title. 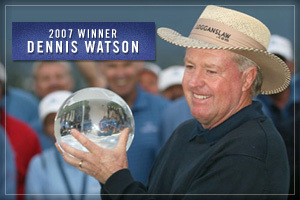 Watson won a record 7-man playoff to take Boeing Classic. Playing No. 18 for the third time in an hour, Watson hit a 3-wood to about 18 feet, then made a 22-foot putt, to end the largest playoff in Champions Tour history. 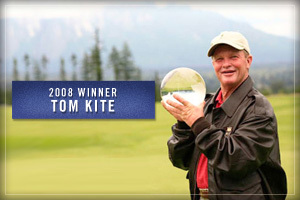 Tom Kite birdied the first playoff hole to defeat Keith Fergus and win the Boeing Classic. 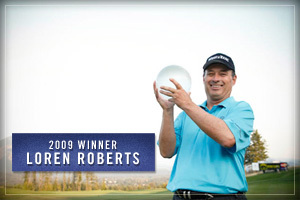 It was his second title of 2006 and ninth of his career on the Champions Tour. The competition that had started with a bunched field, but after the first day wound up being a one-man show. Eger won by three strokes, shooting 5-under 67 on Championship Sunday for a three-day total of 17-under 199.